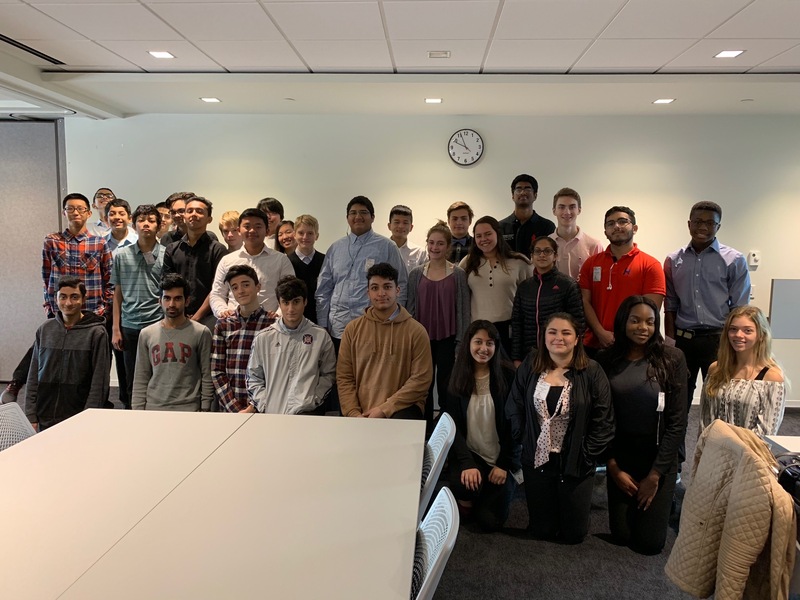 Forty computer science students from Niles North and Niles West traveled to Illinois Tool Works (ITW) corporate headquarters in Glenview, IL, on November 2. ITW’s products and solutions are at work all over the world, in aerospace technology, bridges and wind turbines, healthcare, the spaces in which we live and work, the cars we drive, and the mobile devices we rely on. In partnership with Junior Achievement and D219 Education to Careers Department, ITW employees volunteered for part of their day to teach D219 students about careers in information technology and cybersecurity. Students left the day energized and focused on their futures in the computer science and information technology world. Chaperones for the field trip included Angela Hankes, Robb Barton, and Matthew Fahrenbacher.